This book examines US naval strategy and the role of American seapower over three decades, from the late 20th century to the early 21st century. This study uses the concept of seapower as a framework to explain the military and political application of sea power and naval force for the United States of America. 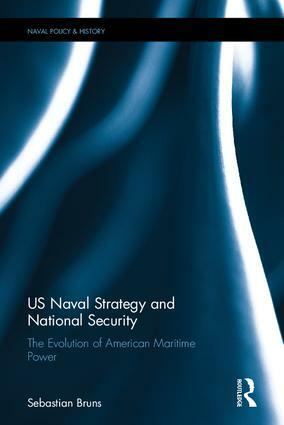 It addresses the context in which strategy, and in particular US naval strategy and naval power, evolves and how US naval strategy was developed and framed in the international and national security contexts. It explains what drove and what constrained US naval strategy and examines selected instances where American sea power was directed in support of US defense and security policy ends – and whether that could be tied to what a given strategy proposed. The work utilizes naval capstone documents in the framework of broader maritime conceptual and geopolitical thinking, and discusses whether these documents had lasting influences in the strategic mind-set, the force structure, and other areas of American sea power. Overall, this work provides a deeper understanding of the crafting of US naval strategy since the final decade of the Cold War, its contextual and structural framework setting, and its application. To that end, the work bridges the gap between the thinking of American naval officers and planners on the one hand and academic analyses of Navy strategy on the other hand. It also presents the trends in the use of naval force for foreign policy objectives and into strategy-making in the American policy context. This book will be of much interest to students of naval power, maritime strategy, US national security and international relations in general. 3. Prelude: 1945-1980, a "naval baisse"? Sebastian Bruns heads the Center for Maritime Strategy & Security (CMSS) at the Institute for Security Policy, University of Kiel (ISPK). He is co-editor of the Routledge Handbook of Naval Strategy and Security (Routledge, 2016).